Latest Victa Rail / GBRf hire-in shunt loco 56105 stands at Peak Forest alongside fellow hire-in 37716 on 28th July 2018. 56105 has recently replaced 56113 on such duties. Photo copyright: Keith Bulmer. 56006 – Following recent inspection at the East Lancashire Railway, it is now hoped to have 56006 available for traffic again at the end of August. Latest Victa Rail / GBRf hire-in shunt loco 56105 stands at Peak Forest alongside fellow hire-in 37716 on 28th July 2018. Photo copyright: Keith Bulmer. 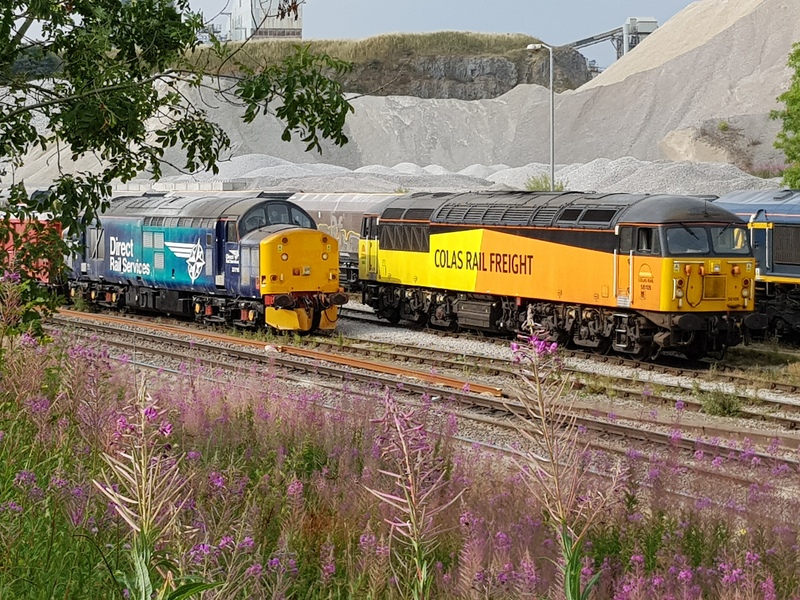 Sunday 05/08 – 6C75 0810 St Mary’s Junction – Doncaster Belmont Down Yard (arr 0936), 6C76 0853 Doncaster Belmont Down Yard – St Mary’s Junction (arr 1100), 6C76 2008 St Mary’s Junction – Doncaster Belmont Down Yard (arr 2127). 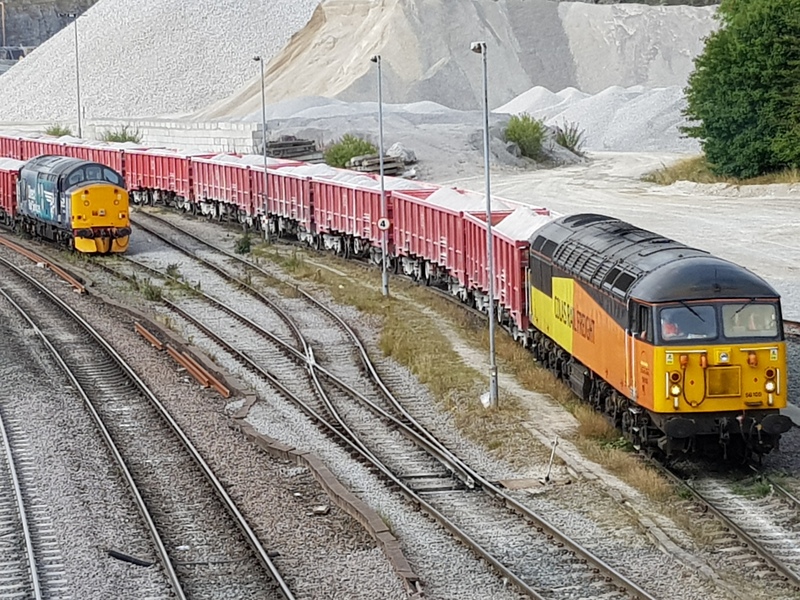 In addition to these, a single Colas 56 should be handling the 6C77 1555 Doncaster Belmont Down Yard – Spalding engineers train this Sunday afternoon, returning early on Monday morning as 6C77 again. Next week also sees rare visits to the Scarborough line for the class on rail discharge trains from Doncaster, with trips to both Seamer and Malton.